CAF members can receive member pricing by using the discount code provided by CAF. 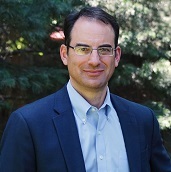 Phil Weiser is the 39th Attorney General of Colorado. As the state’s chief legal officer, Weiser is committed to protecting the people of Colorado and building a law office that will serve all Coloradans effectively. Previously, Weiser served as a Professor of Law and Dean of the University of Colorado Law School, where he founded the Silicon Flatirons Center for Law, Technology, and Entrepreneurship. 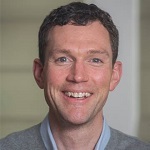 Weiser held senior leadership positions in the Obama administration, appointed to serve as a Deputy Assistant Attorney General in the U.S. Department of Justice and as Senior Advisor for Technology and Innovation at the White House’s National Economic Council. Jena Marie Griswold is Colorado’s 39th Secretary of State, and began her term on January 8, 2019. She is the youngest elected Secretary of State in the United States. Griswold grew up in a working-class family in rural Colorado and was the first person in her family to attend a four-year college and then law school. She knows first-hand how important it is for every vote to count and for every Coloradan's voice to be heard, no matter their background or income. She will protect our right to vote, fight secret political spending, improve transparency, and stand up to those who try to bend the rules or break the law. Griswold has practiced international anti-corruption law and worked as a voter protection attorney, where she made sure Coloradans were able to participate in our democracy. She served under John Hickenlooper as the Director of the Governor’s DC Office, advocating on behalf of Colorado in D.C. During that time, Griswold was instrumental in bringing back hundreds of millions of relief dollars to help the Colorado communities hit by the 2013 flood. Before her election to Colorado Secretary of State, Griswold ran her own small business, a legal practice in Louisville. Griswold holds a B.A. in Politics and Spanish Literature from Whitman College and a J.D from University of Pennsylvania Law School. Griswold is fluent in Spanish and a graduate of Estes Park High School in Estes Park, Colorado. 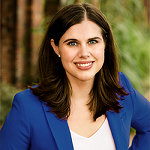 In 2006, Griswold was awarded the Watson Fellowship, and in 2009, the Penn Law International Human Rights Fellowship. Griswold lives in Louisville, Colorado. 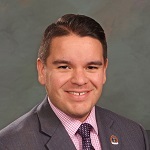 Dominick Moreno was elected in 2016 to represent Senate District 21 which includes Commerce City and Federal Heights, as well as parts of Westminster and unincorporated Adams County. Before he was elected to the State Senate, Dominick served as a State Representative for two terms and was the Assistant Majority Leader in the State House of Representatives. He also sat on the City Council in Commerce City, where he became the youngest city council member in its history at the age of 24. At the State Capitol, Dominick is committed to a quality education for all children and supporting good jobs that pay a living wage. The first bill Dominick sponsored and passed was entitled “Breakfast After the Bell” which created a program offering universal breakfast to all students in lower-income schools. As a result of this law, more than 80,000 children in Colorado have access to breakfast before starting the school day. Senator Moreno was elected to Senate Democratic leadership when his colleagues selected him for a coveted position on the Joint Budget Committee which is charged with balancing the $28 billion state budget each year. Meeting with state legislators is a highly effective way to help them understand your position on an issue or the services your nonprofit organization provides. Meetings with legislators should be scheduled in advance. Legislators want to meet with you, but they are very busy. Click below for tips on setting up or conducting your meeting. Note: Upon request, our staff can help with contacting your legislators. Visit our Public Policy Resources page for information on meeting with state legislators.